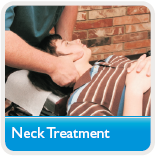 We use most of the well known types of chiropractic treatment at our clinics. We use the results of the published medical and clinical trials as well as NHS and in-house audit to decide on which treatment, or combination of treatments, would provide the most effective approach to each individual problem. In-house, our chiropractors use the well tried and tested Diversified chiropractic approach taught to all students on the MSc and BSc Chiropractic degree courses at Universities around the world. In addition we often use Applied Kinesiology (AK), Sacro-Occipital Technique (SOT), Activator technique, Drop techniques, Myofascial trigger point techniques, dry needling and exercise advice. Diversified is the most common amalgam of techniques used by most chiropractors in general practice. It is a protocol which utilises more than one technique. It involves spinal analysis and gentle specific adjustments. The results for straightforward conditions are usually excellent. This system of analysis was developed by chiropractor Dr G Goodheart in the US. 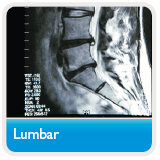 It allows the chiropractor to very accurately diagnose and plan the treatment protocol in very complex cases. It takes many years of study and practice to understand this approach... Although Scott Middleton first started studying and using AK in 1982, he is still studying and learning the many advances made year on year by his colleagues researching in this field. It is a method of chiropractic based primarily on the identification and treatment of three bodily systems: the cranial sacral respiratory system, the weight-bearing system and the kinesiology/function of the lumbar spine. 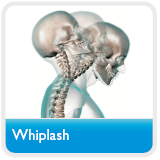 Having carefully analysed these three systems, the chiropractor then uses several different techniques including resting on soft, angled blocks specifically placed under the patient's low back; standard joint adjustment similar to the diversified technique; soft tissue reflex manipulation; and minute cranial corrections. Activator technique is a gentle, low-force program of chiropractic care that was developed by chiropractors Dr Lee and Dr Fuhr over forty years ago. The Activator technique is a unique system of delivering tiny spinal adjustments using an Activator instrument to initiate the correct movement of the vertebra in an exact, predetermined direction. This is very useful particularly for small babies; patients with osteoporosis; or anyone in great pain. Specific techniques for adjustment of the spine on a chiropractic couch. The highly specialised £9,000 couch was developed and adapted for these techniques with multiple segmented drop systems allowing for quick and painless adjuistment of the spine. This is a technique that involves applying pressure to muscle trigger points in order to relieve pain and dysfunction both locally and in other parts of the body. This is a Western approach using acupuncture needles. These needles are placed exactly in the acupuncture or trigger points to help alleviate the spasm or pain. In addition, our team is qualified in-house to give advice with regard to exercises, ergonomics, diet, nutrition, homoeopathy, pathology, toxicology and many other general medical problems. We also have an excellent working relationship with consultant neurosurgeons, orthopaedic surgeons, neurologists, pain specialists, rheumatologists, homoeopaths, physiotherapists, Pilates instructors, fitness instructors, and others in the medical and related fields. 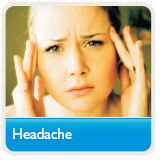 If in doubt as to whether a particular problem would be suitable for treatment, please telephone chiropractor Scott Middleton for advice.